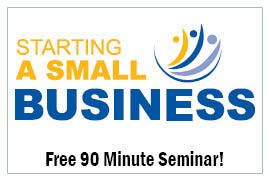 The Small Business Centre offers several programs that can help you start and grow your business. Each program has specific requirements and qualifications you must meet in order to be accepted as a participant. For questions on specific programs contact the representative listed for each. The Summer Company program provides up to $3,000 along with hands-on coaching and mentoring to help enterprising youth between the ages of 15 and 29 start and operate summer businesses. Are you currently receiving Ontario Works assistance? 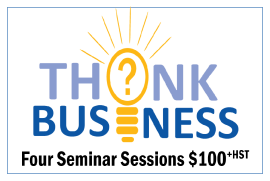 Have a great business idea along with the skills and experience needed to get started? This program provides business planning workshops and on going advisory assistance along with OW income support while you start and grow your business. The Small Business Centre is committed to your business success and we are continually sourcing new tools to help grow your business. Growth Wheel provides a 360 degree view of your business that will help you address the four fundamental challenges faced by small business; click the link below learn out what they are! Scale Up! is a program designed to assist growing food production businesses in London. Scale Up provides training and grants of $5000 to eligible participants who meet the requirements and successfully complete the program. Are you a young entrepreneur, aged 18 – 34, ready to start your own business? If so, then Futurpreneur Canada can help you bring a business idea to life! Use the Staff Directory to find the right person to answer your questions. 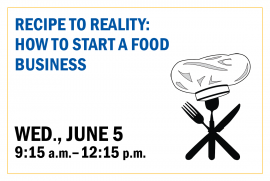 Attend our Starting a Small Business Seminar for a full overview of programs and services, and key business start up information.